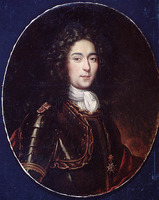 HERTEL DE LA FRESNIÈRE, JOSEPH-FRANÇOIS, officer, interpreter, commandant, seigneur; baptized 3 July 1642 at Trois-Rivières, son of Jacques Hertel* and Marie Marguerie; buried 22 May 1722 at Boucherville. The man whom his contemporaries nicknamed “the Hero” grew up in an atmosphere of continual wars, his native town of Trois-Rivières being the principal advanced post against Iroquois attacks. He was therefore schooled from his youth to believe that danger was always present, and must be conquered by toughness. He was brought up by a wonderful and courageous mother, who had had her share of trials: her only brother, François Marguerie*, was drowned in 1648 and her husband died by accident three years later, leaving three infant children: François, the eldest, and two girls. 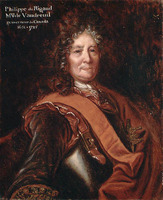 François Hertel wrote in his report of 1712 that his first experience of soldiering went back to 1657, when he was 15. An act of 26 August of that year does indeed describe him as a soldier. Hence he took part many times in the defence of the town of Trois-Rivières, which after the massacre of its principal settlers on 19 Aug. 1652 had to rely on every one capable of handling a weapon. Between times he worked at clearing the land. An act of 21 Jan. 1654 drawn up by the notary Ameau informs us that he felled the trees of an island, inherited from his father, which he wanted to seed in order to support his mother and his young sisters. At the same time he prevented the Iroquois from hiding on it. In the last week of July 1661, having rashly left the fortified enceinte, he was captured by four marauding Iroquois who took him to their village, where he was subjected to torture. The incidents of this captivity are known through the three letters that he succeeded in smuggling out to Father Simon Le Moyne* at Onondaga, and which were reproduced in the Relation of 1660–61, as was the anonymous story of a French captive of which he is suspected of being the author. An old Indian woman adopted him; from her he learned the Iroquois language, and at the same time he observed the tribe’s customs. Taking advantage of a time when his protectress was absent, he managed to escape, and got to Montreal and then to Trois-Rivières, whereas all his relatives and friends thought he was dead. François Hertel appears to have been a captive about two years. He was back before 3 Oct. 1663, for on that day he was present at Guillaume de Larue’s marriage. For a few years after that he led the life of an ordinary settler. On 22 Sept. 1664 he was married at Montreal, then returned to Trois-Rivières, where he served as an Iroquois interpreter as well as being a member of the local garrison. 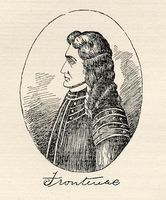 As he himself was to write later, “he was in all the parties of men made up both by the governors and by other officers, and was active in a number of small engagements to repel the forays that they [the Iroquois] were making against our homes.” He was a member of Governor Rémy* de Courcelle’s useless expedition in the spring of 1666, and of the more realistic one led by the lieutenant general, Prouville* de Tracy, in the autumn of the same year. In 1673 he went with Buade* de Frontenac on an expedition to Lake Ontario, and took part in the building of Fort Frontenac (Cataracoui, now Kingston, Ont.). In 1678 he was sent by the authorities on a mission to Hudson Bay. He yielded to the temptation of fur-trading and returned from this expedition with a large cargo which was seized on his arrival at Quebec. By order of the Conseil Souverain he was put in prison and sentenced to pay a fine of 2,000 livres and to have his furs confiscated. For lack of proof that he had been trading unlawfully, he was soon released and returned to his home town. He wanted to ensure the education of his children, and in 1681 he entrusted this task to the teacher Pierre Bertrand, who had already studied at the University of Paris. It was then that his sequence of military exploits really began. 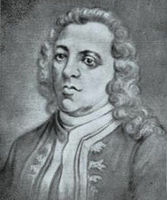 Governor Le Febvre* de La Barre, on the advice of his counsellors, entrusted him with the command of all the tribes who were allies of the French, a responsibility which he continued to exercise under Brisay de Denonville. In the face of the continual ambushes to which his family and all the settlers were exposed, Hertel devised war tactics, derived from Indian methods, in which he initiated his sons: the surprise attack. Other Canadian-born commanders were to use such tactics as well, but apparently never with such fire, speed, and success. What history calls “Hertel’s raids” count among the most ingenious and fruitful military feats of that period. Frontenac had confidence in these tactics, and decided to put them to the test in chastising the New England leaders for inspiring and encouraging the Lachine massacre. We know that at the beginning of 1690 the bold governor raised three parties of soldiers who were to start out from the capital of each of the three governments, and by a similar surprise attack lay waste different villages. Hertel’s objective was Salmon Falls, or more exactly the neighbouring fort of Rollinsford. He had recruited some 25 volunteers from his native town, among them his three eldest sons, his nephew Louis Crevier who was also his mother’s godson, and other relatives by marriage, including Nicolas Gastineau Duplessis and Jacques Maugras, senior. An equal number of Indians, namely 20 Sokokis and 5 Algonkins, who were recruited at Saint-François-du-Lac, joined the group. After a hard winter march of two months, the little band reached the outskirts of Salmon Falls during the night of 27 March. Hertel divided his detachment into three groups, which took advantage of the darkness to swoop down upon the fort and the village simultaneously. Within two hours everything was completely wiped out. Historians and chroniclers do not agree as to the precise number of victims. 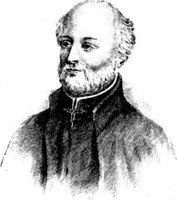 According to Abbé Maurault, who based himself on Monseignat, there were 43 Englishmen killed, 54 taken prisoner, 27 houses burned down, and 2,000 head of cattle lost. The English chroniclers do not put the number of dead as higher than 30, the majority men; furthermore, they consider the figure of 2,000 head of cattle a gross exaggeration. Of the French group two were killed, one being Jacques Maugras, and one was taken prisoner. Hertel, with his survivors and prisoners, was already on the way back when an Indian scout informed him that a troop of soldiers and settlers was heading towards them. According to Monseignat there were 250 of them. Scales sets the number at 100, and Charles H. Lincoln at 140. Hertel placed his men among the bushes, and when the enemy stepped on to the narrow bridge over the little Wooster River the troop burst upon them. Some 20 Englishmen were killed, and the others, thrown into confusion by this sudden attack and the Indians’ war whoops, took to their heels. The French victory was clouded by Louis Crevier’s death and by the wound that Zacharie-François Hertel* received, a wound which for want of immediate attention was to leave him a cripple for life. Committing to some of his men the care of the captives, most of them women and children, Hertel went immediately to help René Robinau de Portneuf’s Quebec detachment, which was on its way towards the English post of Casco (Falmouth). Meanwhile Gastineau was returning post-haste to Quebec to convey to Frontenac the news of the victory. The tactics had proved their worth, and were not to be abandoned. The Hertels, father and sons, rapidly became the terror of the English and the enemy Indians. Their feats were beyond number. They turned up everywhere. They had scarcely got back from the raid on Salmon Falls when they were at Quebec, which was being besieged by Phips*. At this time, in the words of Charlevoix*, François “distinguished himself on every occasion at the head of the militiamen of Trois-Rivières.” Each year the exploits of the family grew in number. Despite his wound, Zacharie took part in 1691 in a combat during which he was taken prisoner; he was to remain in the hands of the Iroquois for three years. From 1708 to 1712 Zacharie was commandant of Fort Frontenac; there he rendered valuable services, for according to Philippe de Rigaud de Vaudreuil, the governor general, “he understands almost all the Indian languages.” François Hertel was right when he stated in his report of 1712 that “During all the wars no party of men or expedition has been made ready that has not included the father and some of his sons.” At one time he and seven of his sons were serving with the troops at the same time. After he retired, it was his pride to say that all his sons had borne arms in the defence of Canada. 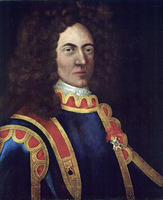 In view of Hertel’s bravery and record of service, Frontenac tried from 1689 on to obtain letters of nobility for him. For a long time the court turned a deaf ear. He was promised them in 1691, but the document did not arrive. As compensation he was granted a military promotion. The humble name Hertel meant nothing in France. In a royal dispatch dated 30 June 1707 Vaudreuil and Jacques Raudot were informed: “With regard to those [the letters of nobility] which have been promised to the Sieur Hertel, it is necessary, in order to draw them up, to have a report giving the reasons for which they are to be granted. The reasons must be strong for obtaining such a favour, his services are not great enough for that.” The objection was further made that being poor he would be unable to maintain his rank among the colonial nobility. 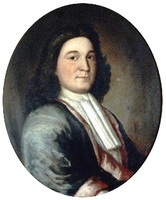 Finally in 1716, more than a quarter of a century after Frontenac’s first inquiry, Governor Rigaud de Vaudreuil was able to put into his hands the parchment so much desired and so highly deserved. By his marriage with Marguerite de Thavenet, the sister of Jacques de Chambly*’s fiancée, François Hertel had inherited the seigneury of Chambly, for which he rendered fealty and homage on 11 Oct. 1694. Subsequently he divided it up for the benefit of some of his sons. On 19 May 1701 he again rendered fealty and homage for a piece of land with a frontage of two leagues adjoining the Rouville seigneury. It was around this time that he went to reside there permanently; settlers, the majority former soldiers, had already been established there for several years. The surname La Fresnière passed to his eldest son Zacharie-François. The others adopted various names, several of which are still extant: Hertel de Rouville, Jean-Baptiste; Hertel de Cournoyer, Jacques* and Lambert; Hertel de Chambly, René and Michel; Hertel de Beaulac, Claude; Hertel de Saint-Louis, Louis; Hertel de Moncours, Pierre, born in 1687, godson of the Chevalier de Troyes*; and Hertel de Saint-François, Joseph. It may be added that a complete study of the martial exploits of François Hertel and his sons has not yet been made. Rarely, in the defence of a nation, have the limits of courage been pushed so far. AJM, Greffe d’Antoine Adhémar, 19 mai 1701. AJTR, Greffe de Séverin Ameau, 21 janv. 1654, 4 nov. 1681; Registres d’état civil de Trois-Rivières. Charlevoix, Histoire (1744), I, 354; II, 50f. 83. “Correspondance de Frontenac (1689–99),” APQ Rapport, 1927–28, 36, 37, 53, 109. “Correspondance de Vaudreuil,” APQ Rapport, 1938–39, 62; 1939–40, 364, 412, 454; 1942–43, 436; 1947–48, 161, 164. JR (Thwaites). P.-G. Roy, Inv. concessions, II, 196f. T.-M. Charland, Histoire des Abénakis d’Odanak (Montréal, 1964); Histoire de Saint-François-du-Lac (Ottawa, 1942). Coleman, New England captives. Albert Gravel, Pages d’histoire régionale (Sherbrooke, 1966). C. H. Lincoln, Narratives of the Indian Wars, 1675–1699 (New York, 1959). 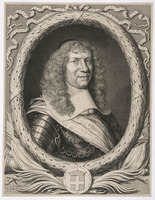 Lorin, Le comte de Frontenac. J.-A. Maurault, Histoire des Abénakis depuis 1605 jusqu’à nos jours (Sorel, 1866). 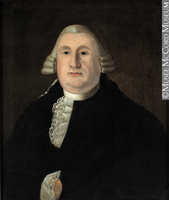 John Scales, History of Dover, New Hampshire . . . (Manchester, N.H., 1923). Sulte, Mélanges historiques (Malchelosse), IX. Robert La Roque de Roquebrune, “Les Demoiselles de Thavenet,” NF, V (1930), 86–91. Raymond Douville, “HERTEL DE LA FRESNIÈRE, JOSEPH-FRANÇOIS,” in Dictionary of Canadian Biography, vol. 2, University of Toronto/Université Laval, 2003–, accessed April 24, 2019, http://www.biographi.ca/en/bio/hertel_de_la_fresniere_joseph_francois_2E.html.